To our current grantees we look forward to seeing you all in Anchorage to learn from one another and talk strategic planning! The Resource Basket provides Training and Technical Assistance to the Alaska Office of Juvenile Justice and Delinquency Prevention Grantees. There are currently 11 Statewide Grantees who represent 10 Communities and serve numerous surrounding communities. Together in partnership with our Tribes and Communities to prevent the delinquency of Alaska Native Youth. The Grantees we serve are making great strides in their work through funding awarded under OJJDP Program Area 8:Juvenile Healing to Wellness Tribal Courts and Program Area 9: Tribal Youth Programs. We are very proud to serve such an amazing group of dedicated providers; all working to support Alaska’s next generation. Quyanaa! Click on the village names to learn more about their objectives. This project is to implement the Tribal Youth Court to improve the health, safety, and welfare of youth ages 8-21 in Sand Point, including addressing minor alcohol possession and consumption issues. It will do this through training the Tribal Youth Court to implement key components 1 (individual and community healing focus), 2 (referral points and legal process), and 6 (incentives and sanctions) of the 10 key components of a tribal healing to wellness court. The target population of this project is community youth, with a large population of tribal youth, ages 8 to 20 (under the age of 21). Strengthen and implement the TCC and DJJ diversion agreements. Develop structure for Healing to Wellness for the whole family with the Circle of Life curriculum. Continue Tribal Court best practices with children’s and juvenile cases. Develop after care program for youth returning from treatment or detention. Orutsaramiut Native Council (ONC) is a federally-recognized tribe/ Alaska native Village located in Bethel, Alaska. ONC has 3,192 Tribal Members and 1,801 live in Bethel, Alaska. The ONC Juvenile Healing to Wellness Court is a comprehensive project that will have a positive impact on our tribe and aligns with broader planning efforts and with community support. Kids enter the justice system or kids enter substance abuse treatment. The systems are not well linked and have no overarching framework or structure. The proposed ONC Juvenile Healing to Wellness Courts will handle juvenile alcohol and drug cases in a way that will combine judicial supervision, substance abuse treatment, case management, drug testing, and graduated incentives and sanctions to help young people with substance use disorders achieve sustained recovery and avoid reoffending. Establish a multidisciplinary steering committee to lead the planning and implementation of the Juvenile Healing to Wellness Court. Complete a comprehensive juvenile Healing to Wellness Court policies and procedure manual. Begin screening court-involved juveniles and young adult under age 21 for eligibility for the Juvenile Healing to Wellness Court. Continue to accept participants into the Juvenile Healing to Wellness Court. Improve Infrastructure – Tribal Juneau healing to wellness courts (12- week minimum program). Address culturally responsive sobriety and healing services. Increased coordination for therapeutic youth services. 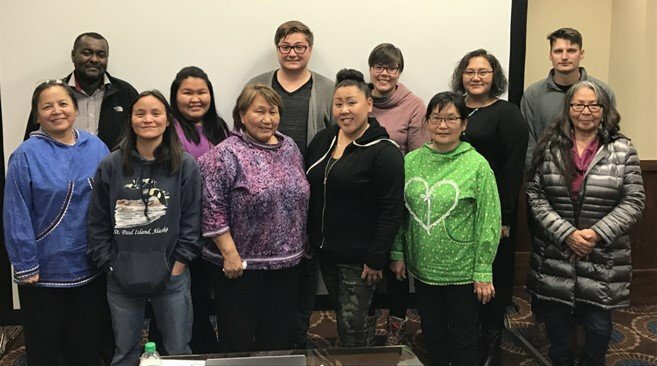 The goal of this Tribal Youth Program is to prevent and reduce juvenile delinquency in the rural community of Kake, Alaska by developing a Youth Circle Peacemaking program. Participating youth will be engaged in activities that lead to healthy, resilient and culturally centered practices. Secure qualified JV Tribal Court Advocate for program. Community is made aware of the values and practices associated with the new JHWC. Qualified stakeholders are selected to inform and provide program guidance. Engage multidisciplinary steering committee to validate JHWC staff developed policies and procedures manual, bench books, screening and assessment tools, and participant handbooks. Conduct assessment of needs (Strategic Planning) to capture current youth needs and interests. Create and deliver events to unite parent/guardians with youth. Create a community of youth that are free of alcohol substance abuse. Keep at-risk youth from turning to a life of crime. Implementing cultural and traditional classes at the Andrew K Demoski School by planning, building and maintaining a culture camp to learn subsistence and traditions of our people and to establish a Nulato Tribal Youth Court. Tetlin Village Council has established a youth center so the youth have a safe, drug and alcohol free environment. By having regular workshops and sessions for youth and adults at the school will help improve the long-term relationship between the educators, parents, guardians, the school administration and the Village Council. This cultural program is especially important for the development of Tetlin’s youth personal resilience and connection to their culture and community; various activities will focus on developing positive behaviors and connections that last well beyond the afterschool program.This in turn will help address some of the overall attendance rates. This project will identify and address the reason for truancy problems for students attending Effie Kokrine Charter School. It will provide leadership development opportunities for the students within Effie Kokrine Charter School and opportunities for family engagement at home and school. This project will provide specific activity therapy to impact risk factors for delinquency. Activities will have a dual purpose, providing healthy activities in the form of afterschool and seasonal activities while at the same time helping at-risk youth to develop important social skills and build positive and healthy relationships with peers and adults. Activity therapy will allow children and youth to find opportunities to bond while utilizing the new skills. All activities, such as hiking, beach cleanup, traditional crafts, or learning traditional songs, will be conducted in a social setting open to all community youth to avoid singling out youth receiving therapy. Though activities look like play, participants will be learning to manage their behaviors, problem solve, and work together as guided by the Behavioral Health Aide, critical skills they will use when they return to their homes and schools. The bonds that the youth develop with their peers and with the adult staff will be invaluable as they move forward with school or work activities in the future. We will increase the chances of at-risk youth successfully not re-offending by providing these services to support the activities initiated under the Juvenile Court and current education programs. We will also coordinate with the Youth Tribal Council and support them as they develop and implement the Healthy Relationships Curriculum. Ketchikan Indian Community (KIC) proposes to reach out to AI/AN families and youth in our community who struggle with chronic absenteeism and disengagement from school. By the end of the grant period, 2020, to increase the attendance rate for 80% of participating AI/AN students in grades 7-12 in the Ketchikan Gateway Borough School District to 85% attendance or above. Identify the issues that lead to such a disparity among native youth and non-native youth in school attendance, school involvement, and graduation rates. Have a fully developed curriculum to use with families. By the end of the grant period to increase 100% of participating students and families understanding of the connection between school attendance to academic and career success. In 2011, RurAL CAP began a partnership with the Department of Health and Human Services, Division of Juvenile Justice (DJJ) to issue sub-award grants to rural, Alaska Native communities. Two main goals of this project include reducing the disproportionate number of minority youth who come into contact with the juvenile justice system and increasing the ability of the Alaska Native communities to better develop and manage grant programs. Request For Proposals (RFPs) are released twice yearly and successful applicants are provided with technical and programmatic support throughout the term of each grant. Award funds of $8,000 are used to design, develop and implement community based, culturally centered projects that empower youth ages 12-17 to make positive life choices. There have been 67 projects funded since 2011 to 48 non-duplicated rural Alaskan communities. The RFP cycles are in October and June. Alakanuk Tribal Council (Alakanuk, AK): This project will provide youth with workshops to learn skills in ice fishing and traditional kuspuk sewing and beading. Youth will work alongside Elders to learn traditional and modern ways of ice fishing, sewing, and beading patterns that reflect their communities way of life. Native Village of Scammon Bay: This project will provide youth workshops in winter pike fishing and traditional sewing. Youth will learn from Elders the traditional ways of living and how important helping one another is vital to a good community. City of Newhalen (Newhalen, AK): The community of Newhalen will provide youth workshops to make traditional Uluaqs, drums, headdresses, and traditional clothing. Nunakauyak Traditional Council (Toksook Bay, AK): This project will provide youth camps that teach traditional seal hunting and ice fishing skills, safety and survival. Elders will work alongside youth and project lead to facilitate camps. Metlakatla Indian Community: The Metlakatla Youth Leadership will provide empowerment sessions that aim to support youth mindfulness, leadership, and cultural practices that support wellness and resiliency. The session will integrate lessons that are based on Universal Alaska Native Values: live carefully, take care of others, honor your Elders, pray for guidance, to see connections in everything. Pauloff Harbor Village (Sand Point, Ak): They are planning to conduct a quilting workshop for youth. The youth will be instructed by an Elder who will teach how to sew a cultural quilt that will be displayed within the community. The Youth Development & Culture Grant is a small bi-annual community/tribal grant that provides mini-grants up to $7,000 to community Youth providers (i.e., program managers, coordinators, teachers, etc.). Our goal is to reach youth in the age group 12-17 years to support the reduction of juvenile delinquency among Alaskan youth — next RFP to be announced (pending funding) the end of May 2019.